Disco rides for sale in Australia, also called disco coaster, tagada disco, UFO rides, disco dancer ride or even disco fever ride in our factory. It is one of the biggest amusement park rides in our workshop. UFO disco is one of the most interesting and popular amusement rides, it is a little thrill but still attractive to kids and adults. It is safe enough. Disco is a made up of a large turntable and two tracks for Australia customers. The disco ride could rotate by itself, but the general orbit of this large amusement equipment is running along with the crescent-shaped track back and forth. Passengers will sitting on the edge of the turntable and back to the center of the turntable. We have quality inspection for our large amusement rides to promise the safety of these rides which made in our factory. We supply all-around post-services for each amusement rides from Beston factory that exported to Australia. We use high quality materials. We purchase quality steel and fiberglass from large factory. Mechanical parts of our disco rides are all use national standard steel, strong and sturdy. We use quality paint that could promise a three year outdoor lifespan. 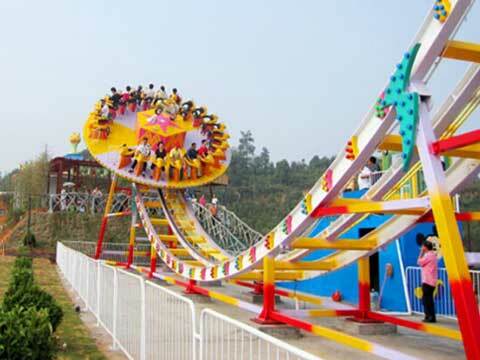 The disco rides is a type of large flat and thrill rides that manufactured by Beston Amusement in China. It is a larger rides but smaller than the ferris wheel and large 6 ring roller coasters. Disco dancer rides could be painted with different decorations according to the requirement from different customers from Australia. It is cheap but with high quality, you can add LED lights and music box to attract more tourists. 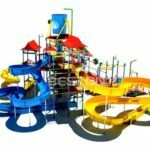 It is a good investment for people who are running an amusement park or going to build an amusement park in Australia. So if you are looking for large amusement rides for you amusement business, have a try to get disco rides, it will bring you more profits. You can also go to our homepage, you will find more attractive and novel rides for your business in Australia.